Why do te like Amber? I've noticed that a lot of fan seem to like Amber and I need help understanding why. To be honest, I don't know what everyone else sees in her that makes her a likeable character. I'm not trying to be mean, I just don't see what a lot of people see in her. Hi, sorry for being late. The reason I like Amber is her personality. It would've been so easy to make her the mean stepsister o a fashionista archetype. However, they didn't take the route. Amber's mistakes are usually based on jealousy. 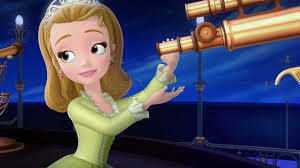 For example, in Sofia the Frist: Once Upon a Princess, Amber did some pretty selfish things because everyone seemed to like Sofia più than her(I.e James saying he likes Sofia più than her). Even though she does act spoiled sometimes, it's più of a joke within cannon(Sofia: Oh, Amber...). Amber also may have seen bratty o spoiled when she values materialistic things over sentimental, but it's actually isn't treated as that in the show. It's più treated indifferently as no one calls her out on it and she isn't celebrated for it, it's just treated as okay and I like that. Liking the bigger things in life over the simpler things isn't bad, so I like how maturely the mostra handled that. Another flaw people seem to hate about her is selfishness. I know she can be selfish at times like when she ha rubato, stola Sofia's amulet, but this one doesn't bug me because her actions are believable. Why does she want the amulet? For curiosity sake. Why does she want her own party? Because James and Amber are two different people wanting different stuff for their birthday. Why did she cheat in the costume party? Because she was too embarrassed to admit she couldn't make a costume. Now on to her good qualities, that I don't really see talked about. She also values and cares about her family deeply. For example, she was very helpful and kind towards Sofia in Farther's and Daughter's day. She also had times when she was jealous of Sofia because she couldn't get her farther's attention(i.e. That one magic well episode). She showed care and a deep connection with James. As for Amanda, she makes a rosa rose horse for her with James to mostra that she cares for her. Another good quality of hers is her variety of interest. Not to put other shows down, but having her care about più things than just fashion makes her più interesting than the basic archetype of her character that is usually used. She likes knitting, stella, star gazing, decorating, being praised, mermaids, dancing, sports and then fashion. Oh, and I also like the references to her interests(some being really well hiding).Like, the writers sneaking her line "Our uniforms are just divine! da the way, they are my design"! I just Amore that they mentioned it when te least expected. Sorry, I talked about it for so long. I just get really pumped for when I explain my point of view on something I love. Well, I bet that helped te understand. Amber is popolare with fan due to her strong character development over the course of the whole show. She's flawed, and after a while, she realizes it herself and her personality changes for the better.